Season of Advent. Join us each Sunday thru Christmas as we celebrate the season of His coming. 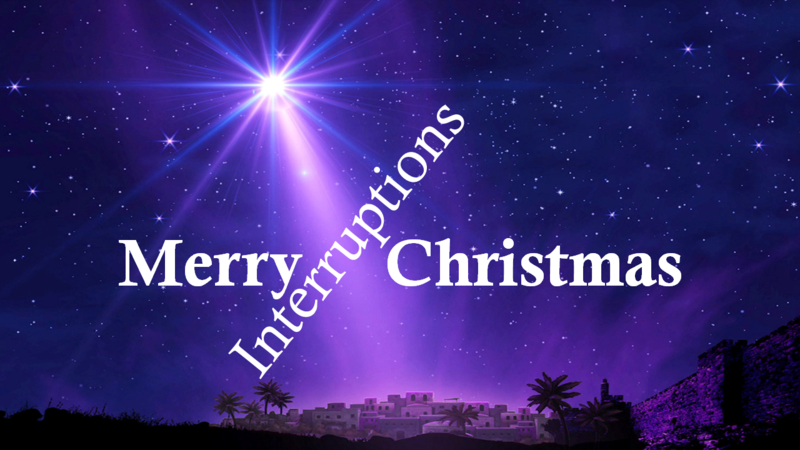 We often expect Christmas to be a time of peace, joy and love – a time without turmoil. But the first Christmas was not that way all! It was an interruption! But a good one. Better yet, a God interruption.